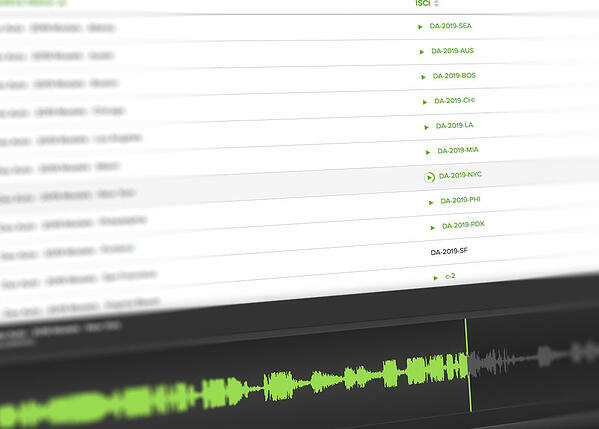 The first programmatic DSP for agencies and brands to buy audio advertising. The first programmatic SSP for radio broadcasters to manage ad operations. 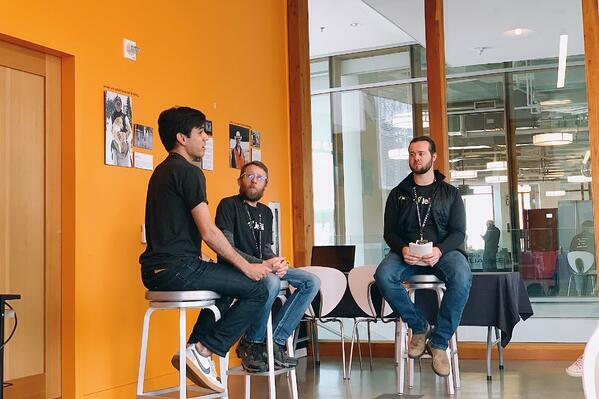 Last week, we were proud to sponsor and participate in Hackfort, a digital humanities conference that is part of Boise's Treefort Music Festival. We both exhibited in the Hackfort Expo Hall and conducted a panel titled "Side Projects: Creative Outlets Inspire Innovation at Jelli." Phil, a Technical Program Manager at Jelli, introduced the crowd to the concept of side projects and their importance by mentioning a few well-known objects that all have something in common: microwaves, velcro, Play-Doh, and super glue. How are these seemingly random items related? They were all discovered by accident through experimentation. Cool, right? But what does that have to do with side projects? Side projects almost always start through experimentation and they're important because they encourage creativity and often disrupt technology. Phil then introduced Ryan Rishi, a Software Engineer at Jelli. Ryan is a musician who studied both computer science and music in college. When he heard about Jelli he decided it would be the perfect fit — a combination of his two loves. One of his favorite things about Jelli is that it fosters a culture of innovation — this is where side projects come in. Side projects are fun things that we get to work on outside of work. Ryan provided a great example related to camping. He set up a Python script to take in specific campsites and dates when and where he wants to camp. When it finds a match, it immediately sends him a text message with a link to the campsite booking page. Sounds great, right — but what is the benefit? For Ryan, the biggest benefits of side projects are the exposure to new technologies, design patterns, and tools that he doesn't come across in his day-to-day work. Plus, side projects allow you to build cool stuff. Let's bring this back to work. How are side projects part of our life at Jelli? Innovation Labs is kind of like our personal Jelli side project incubator. Our Innovation Labs team of engineers has an ongoing working list of ideas that they're always adding to. During the second half of the year, they get together to build a proof of concept for one or two of the ideas from that list and then present them to the company at the end of the year. Our team put together an audio player that visualizes time, amplitude, and frequency. A waveform (sound wave) shows amplitude over time and a volume meter animates to reflect the real-time volume of the audio that is playing. "We designed this in such a way that we can feed it an audio source and pass in some HTML selectors of where to render the visualizations, and everything else is taken care of," said Ryan. Another project that our team worked on is an interactive map that when you click on a specific market, you see not only the radio stations that use Jelli's RadioSpot platform, but market stats, including reach, rank, and number of listeners. For example, if a user wants to see how many impressions a radio campaign will reach in each market, they can glance at the map and quickly get that information. "This map is a particularly exciting project because it's an innovation labs idea that ended up coming to fruition in our core product, SpotPlan," said Ryan. We can also put the audio player and the map together — which is exactly what we did. LaunchPad is a section on our website that was created to showcase some of our side projects, and we incorporated both the RocketAudio Player and Broadcast Map in the design. The map shows information about some of the ads that we've recently played and the audio player allows you to listen to them. What will we build next? Keep an eye on our LaunchPad page to see future projects and subscribe to the Jelli Noise blog! ARE REGISTERED TRADEMARKS OF JELLI, INC. © 2018 JELLI, INC.